First of all, an admission. I was not even in the country when this match took place, but frankly this was probably a blessing, after what Alan Smith in The Observer said was "a forgettable scoreless draw". The hour time difference and free wifi in the hotel enabled me to watch the match without missing too much of the day, but by half-time I was wondering if I had made the right decision and if the match was ever going to spark into life. The answer to that turned out to be - never. When the team was released there were a couple of notable changes from the team that made short work of Norwich, the last match before the international break. Firstly, Virgil van Dijk made his first appearance for Saints at the defence, alongside captain José Fonte. The second change was more of a surprise, with Victor Wanyama's rehabilitation back into the midfield, at the expense of Oriol Romeu. There were only a couple of moments of interest in the first half. There was the penalty controversy, when West Brom's McManaman appeared to go down in the area after a sliding tackle from Matt Targett. The referee was immediately unimpressed and waved play on. In the post match interviews, Pulis was unimpressed with McManaman's dive and Koeman was unimpressed with Targett's sliding tackle. The second moment was when Rodriguez just failed to convert Dušan Tadić's corner into anything meaningful. 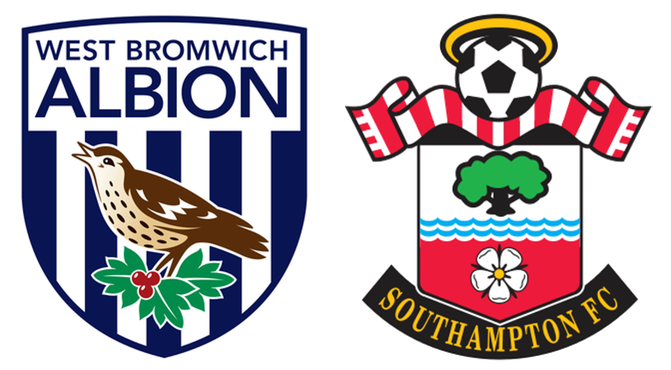 There was no significant improvement during the second half and although Saints had 65% of the play, they were not able to threaten and Myhill had a fairly quiet afternoon in the West Brom goal. For entertainment value, I would be hard pressed to mark the game at any more than three out of ten, but it was another clean sheet for the team. An optimist would point out that Saints have yet to lose away in the league. Koeman, ever the pragmatist, said afterwards that "if you can't win, don't lose". For me though, it was an opportunity missed. It was a game that should have been won. I apologise for the brevity of this report, but that was really all there was to it. I needed that drink.